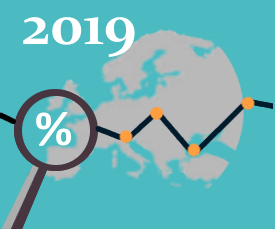 In 2019, there aren’t any rates changes to be expected in regards to the VAT recovery and TICPE. As a matter of fact, none of the EU countries are modifying their VAT rates. Click here for a VAT recovery rates list review. Regarding the Diesel Taxes, called TICPE in France, the reimbursement rates remains the same in 2019: € 177,50 /mᶟ. Other excise duty rates can be consulted on our diesel taxes recovery section.